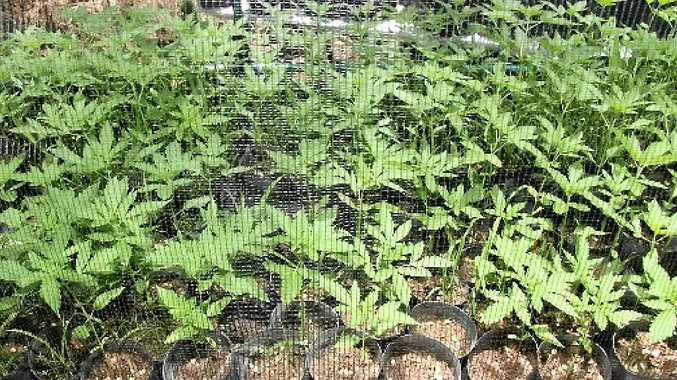 THE Baffle Creek cannabis crop uncovered by Gladstone detectives on Thursday has been estimated to hold a street value of about $200,000. While mature individual plants are able to fetch between $3000 and $3500, the almost 600-plant crop raided at the Muller St address on Thursday morning contained younger plants. Detective Snr Sgt Luke Peachey said the set-up of the crop indicated it was not the first time the offenders had grown illegal drugs. "There was some level of sophistication to the set-up," the Gladstone detective said. He called on anyone with information about the cultivation of the crop to contact Gladstone police on 4971 3222 or Crime Stoppers 1800 333 000. Police are yet to charge anyone over the discovery.